States across the country enacted major reforms to their criminal justice systems in the past year, especially in the areas of sentencing, juvenile justice, and reducing job discrimination for people who were formerly incarcerated. A new report published Wednesday by the research and advocacy organization The Sentencing Project summarized criminal justice reforms in the 30 states that passed related legislation in 2014. The United States incarcerates more of its youth than any other country in the world. It is also the only country that sentences youth to life in prison for crimes they committed before they turned 18. In a 2012 Supreme Court decision, Miller v. Alabama, the practice of mandatory life sentences without the possibility of parole for juvenile defendants was ruled unconstitutional. But some states continue to give out life without parole as punishment for young offenders. Research has shown many youth who committed crimes eventually “age out” of criminal behavior when they become adults. The phenomenon is known as “desistance” in the world of criminal justice policy. This year, West Virginia and Hawaii abolished the practice of giving out life sentences without parole. Eligible inmates in Hawaii are allowed a parole hearing every year, while in West Virginia, all youth, regardless of their offense, are up for parole after serving 15 years. In Florida, Massachusetts, Michigan, Nebraska, and Washington, lawmakers made changes to authorize parole for some categories of youth offenders, or raised the age of offenders who could be subject to life without parole. New Hampshire’s Supreme Court also ruled that the Miller v. Alabama decision will apply retroactively to four inmates who were sentenced to life without parole prior to the U.S. Supreme Court decision. Many jurisdictions also passed laws to “ban the box,” or legislation that prohibits employers from inquiring about a job applicant’s criminal history for discriminatory reasons. Nationwide, about 65 million Americans have a criminal record, according to the National Employment Law Project, a research and advocacy group. In 2014, Delaware, Illinois, Nebraska, New Jersey, and Washington extended previous bans to include both private and public employers, or introduced a new prohibition on public employers, so they cannot conduct background checks until after the job candidate’s first interview or before giving the candidate a job offer. 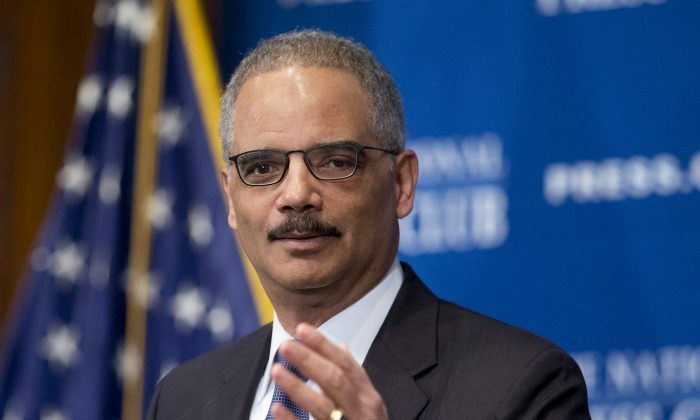 During his tenure, U.S. Attorney General Eric Holder has pushed for reforms to the harsh penalties for nonviolent drug offenders, including mandatory minimum sentences, which apply a minimum number of years in prison for certain offenses and limit a judge’s ability to consider the circumstances of individual cases. One specific phenomenon that Holder has highlighted is the disparity in sentencing for offenses involving crack versus powder cocaine. The Anti-Drug Abuse Act of 1986 penalized people found in possession of crack cocaine 100 times more than people found in possession of an amount of powder cocaine. An overwhelming majority of people found in possession of crack were African-American. The Fair Sentencing Act passed by Congress in 2010 sought to reduce the disparity. California also passed its own Fair Sentencing Act last year, equalizing the sentences and fines for people convicted of dealing crack and powder cocaine. Previously, people convicted of crack offenses faced three to five years imprisonment, while powder cocaine offenders faced two to four years. In Florida, laws were passed to eliminate mandatory minimum sentences for possession or distribution of painkillers. In Missouri, jail time was eliminated as a sentencing option for low-level misdemeanors, including first-time offenders found guilty of possessing small amounts of marijuana. Though some cities profit from collecting fines on poor defendants and jailing them when they can't pay up, the costs to government resources and taxpayers prove hefty.